First ever salmon on a bead. 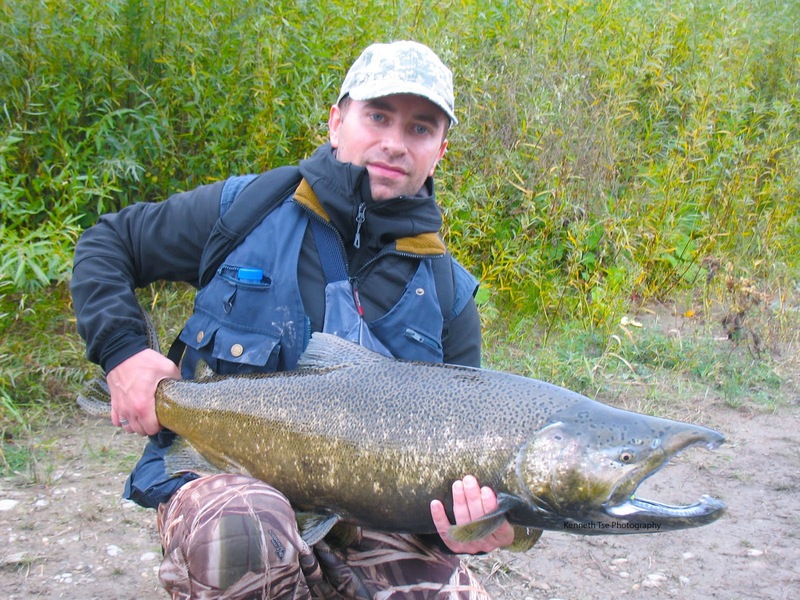 Big King Salmon on a bead. 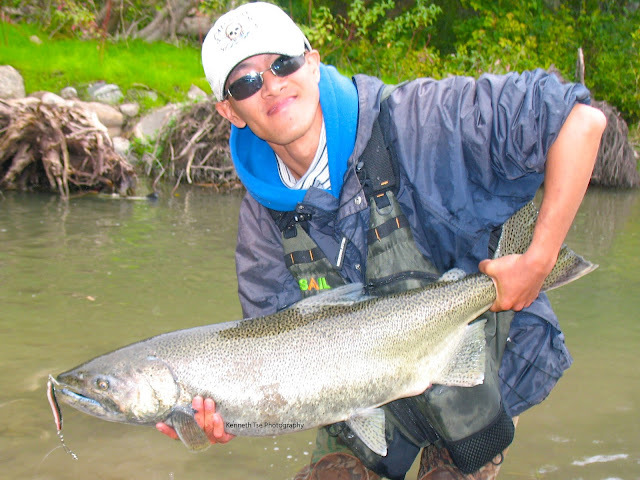 Then we picked off aggressive fish in the runs and riffles. 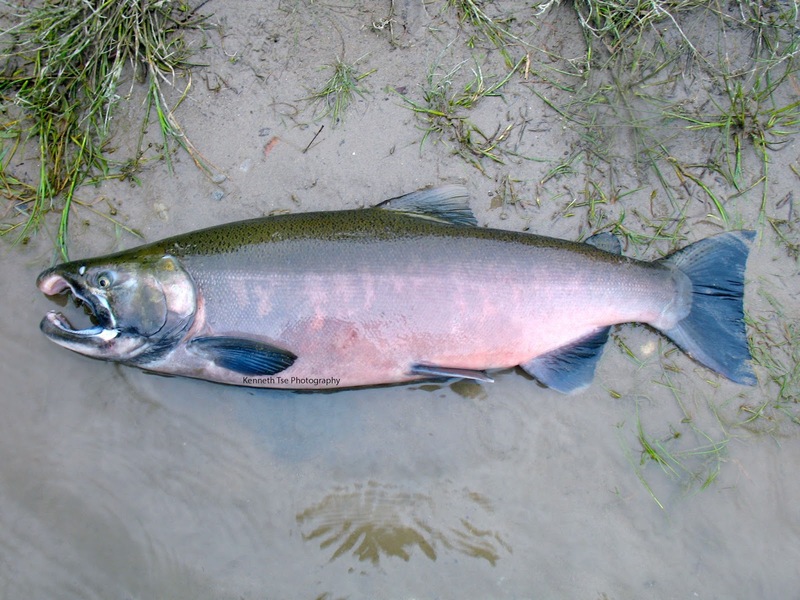 First Coho Salmon in 10 years...this big colourful male made up for it! 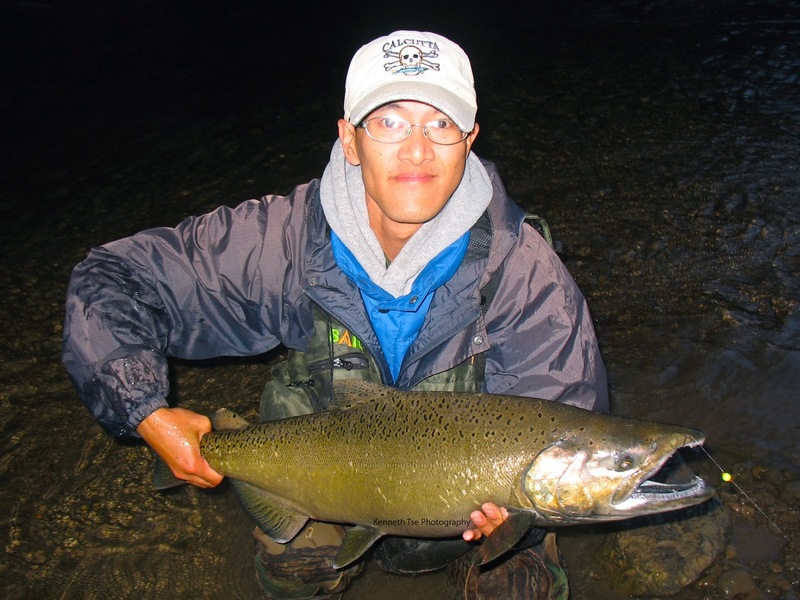 We caught so many fish but didn't bother to take many pictures. 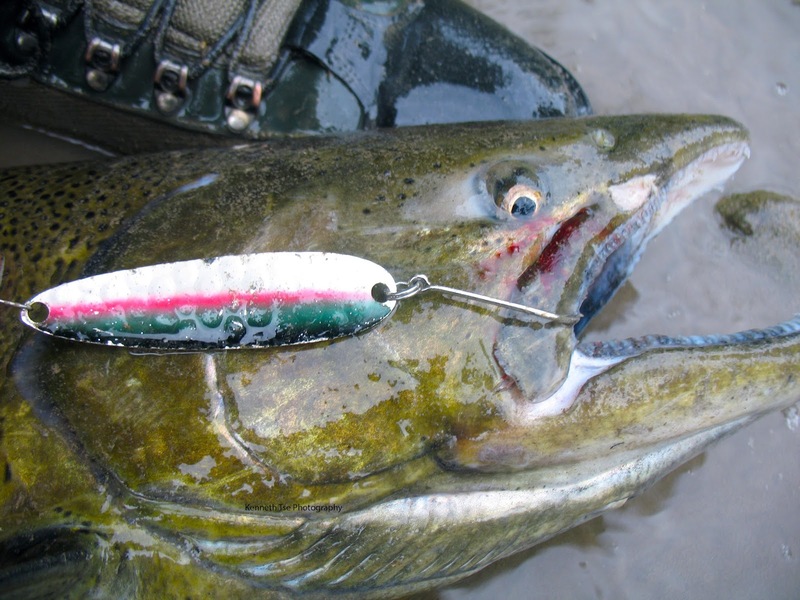 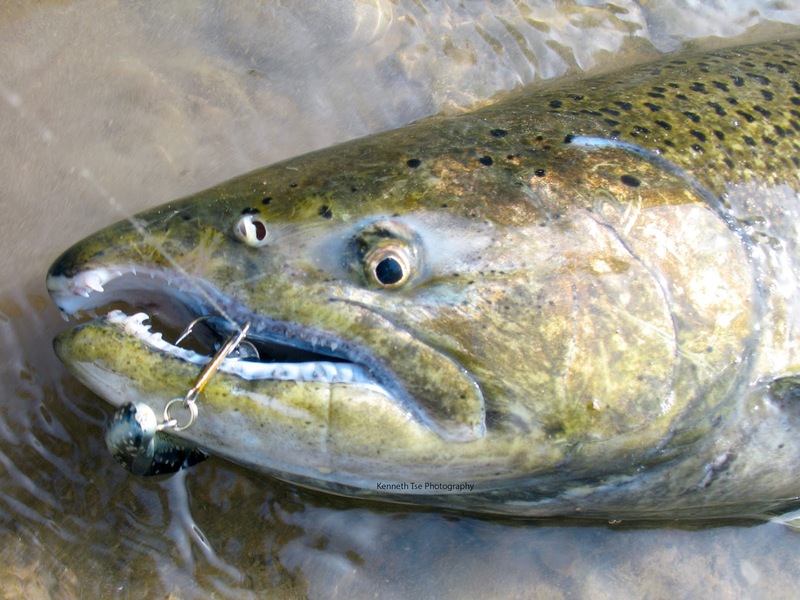 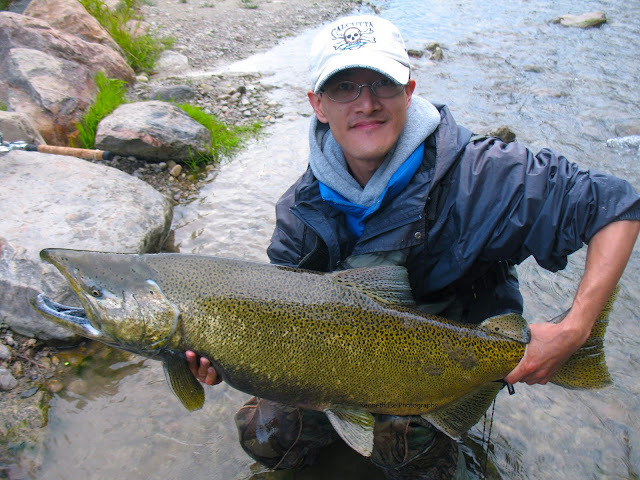 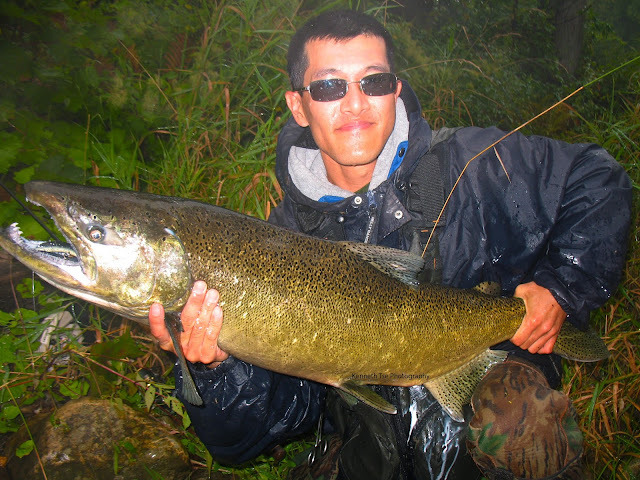 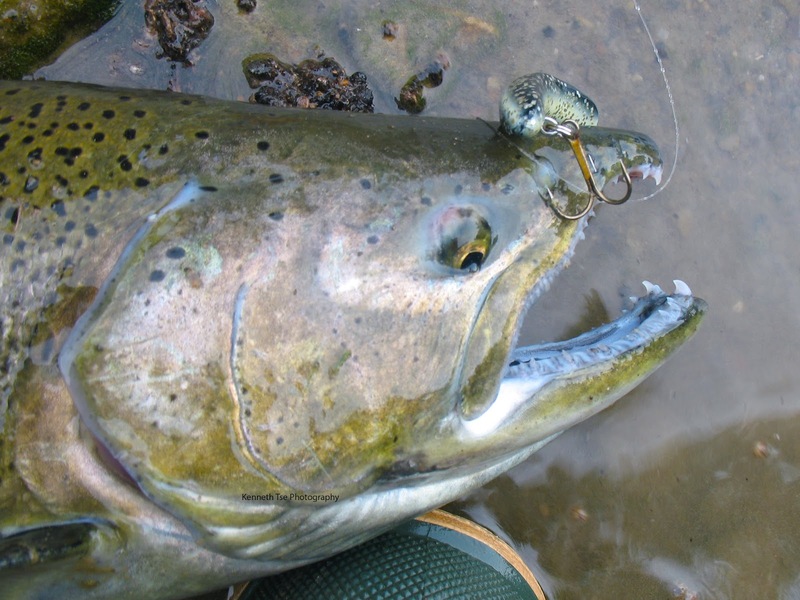 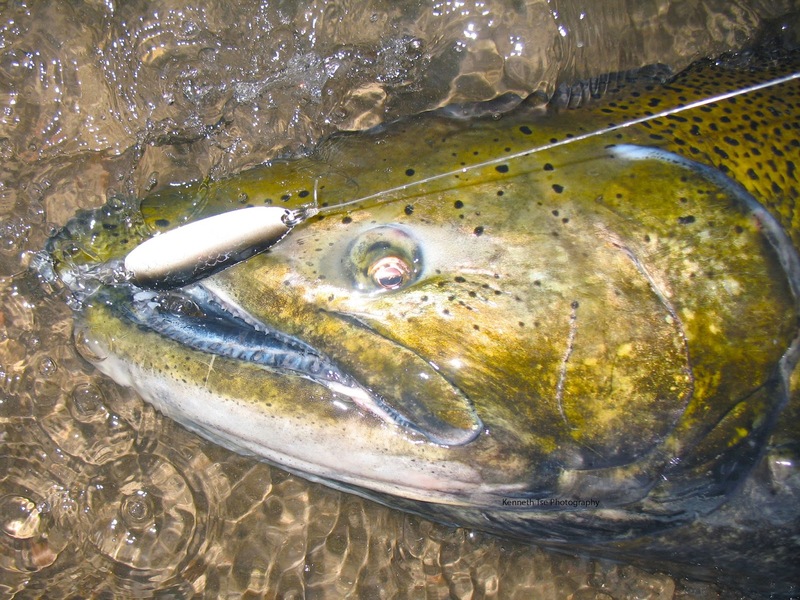 This was the last fish of the day - a big King Salmon completely engulfed the Kwikfish. 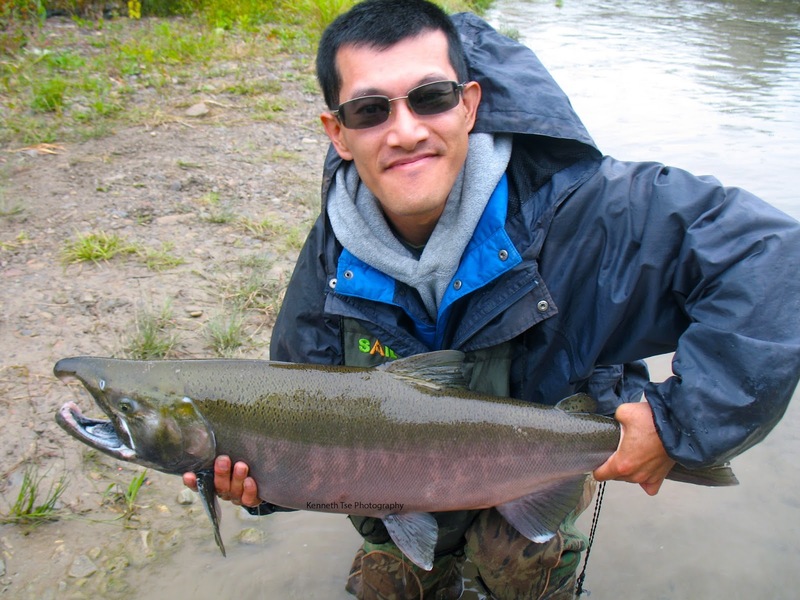 Stefano finally landed a salmon! 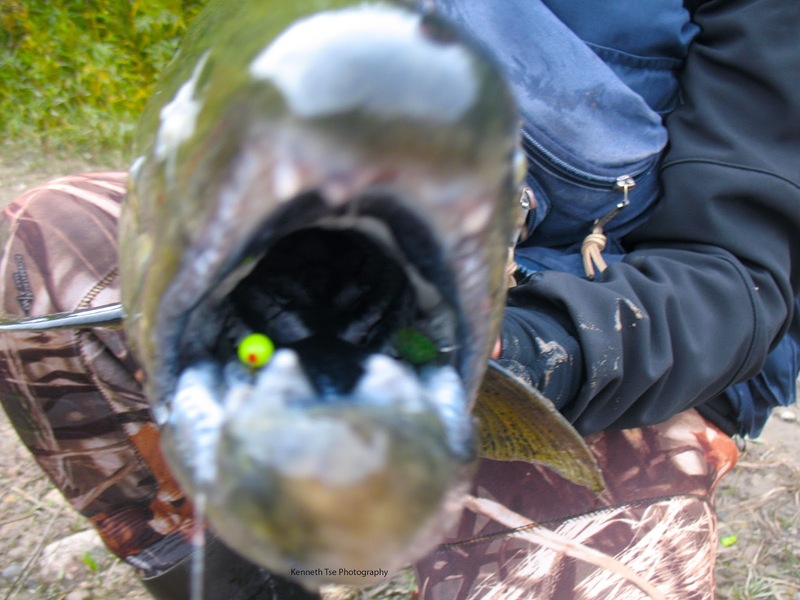 This salmon really wanted the bead and took it right down!